The church was Jesus’ idea; he is her founder. Jesus said he would build it. He bought it with his own blood and promised that it will transcend time. The apostles proclaimed Jesus as Lord and Messiah and people received the message and were baptized into Christ, then they were added to the number of followers. This is how the church began in the first century. Two months after the death of Jesus, the church was established. The church is the gathering of those who profess faith in Jesus. We see in Scripture, Christ’s church is made up of local congregations throughout the world. We just went through a series about seven churches in Asia Minor found in the book of Revelation. 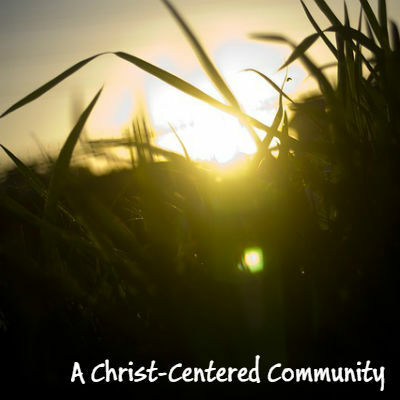 Have you ever wondered what it means to be member of Christ’s church? The Bible tells us what the church is, how it began and what it means to be members of it. After those who believed or embraced the message of the gospel were baptized, they joined the number of disciples. In verses 42-47 we read about what they did after joining the church. God gave us the holy writings (Scriptures) to teach us, to rebuke us and correct us and also to train us to do the right things. The Scriptures are the manual God’s people have to know exactly who God is, who we are and what is expected of us and also it teaches us where we are going. They are our God-given GPS for his people. Members of Christ’s church display a devotion to the Scriptures; a passion for reading it, studying it and living it out. Members of Christ’s church are commitment to the fellowship. What this means is that they show commitment to each other. (v.44) All the believers were together and had everything in common. (fellowship to commune with others, to share their lives together). They encouraged each other, helped each other and provided for each other (v.45) Literally, they shared their lives with each other. In Acts 4:32-36 we are told how they were one in purpose and mind. They took care of their financial needs of the community. There was not a needy person among them for they met their needs by sharing their goods and resources. Being a member of Jesus’s church means you are committed to doing the “one another” with other believers. Members of Christ’s church show a commitment for prayer. The first Christians were devoted to prayer. They learned this from their master, Jesus, who modeled prayer and taught them how to pray. Jesus was never busy to pray, in fact he at times got away from people so he can commune with his Father in prayer. The first century followers prayed, in Acts 3 Peter and John were going to the temple at the time of prayer. Prayer was included in their agendas. They just didn’t pray when things went wrong in their lives. The believers’ prayer in Acts 4:23-31 They were persecuted but they prayed for boldness to continue God’s mission. Praying was how they sought God’s guidance. This is how they calibrated their focus in life. When they were faced with tough decisions in the church, they prayed; when they sent missionaries to the mission field, they prayed. Before they appointed leaders, they prayed. They always sought God’s will and direction through prayer. Christ church is committed to the Bible, God’s word, committed to the fellowship with other believers and committed to prayer. This is what it meant to be a member of Christ’s church. This is what it means to belong to Christ’s church. You must show a commitment to the teachings of Christ. Commitment to God’s word, the Bible. You must be committed or devoted to the fellowship, to the coming together, sharing lives together, caring for one another. To supporting one another and the ministry of the community that you are part of. You must also be committed to prayer. Pray for one another and the constantly seek God’s guidance in your life. (v.47) The Lord added daily those who were being saved. This group of Christians was contagious, the way they shared their lives and the commitment they displayed was evident. More people were being added to the community. Jesus was bringing salvation to those who were joining the church. Is your commitment to the church evident? Are you committed to the Lord’s teaching, to the fellowship? To sharing your life and support the ministry of your church? Are you committed to prayer? This is truly what being part of God’s church is all about.